WE’RE INVESTED IN MORE THAN REAL ESTATE. WE’RE MOTIVATED TO SUPPORT OUR COMMUNITIES. Koman is committed to the communities it serves and is involved in numerous philanthropic and community organizations in the Midwest and West Coast. Bill Koman, CEO and Chairman, started Pedal the Cause in 2009 raising more than $20 million for cancer research. Urban revitalization and enhanced use of environmental and sustainable resources is also a key focus in construction of new or renovated buildings. Founded in 2009 by Koman CEO and Chairman, Pedal the Cause had the goal of creating a community-wide cycling fundraising challenge in which all donations raised would stay in St. Louis and benefit Siteman Cancer Center and St. Louis Children’s Hospital to provide direct funding for cancer research, cancer discovery grants and clinical translational care not currently eligible for federal funds. Additionally, donations from Pedal the Cause make a positive economic impact in the St. Louis community as stronger research funding will continue to support this high profile and critically important segment of the St. Louis economy. Pedal the Cause is a 501c3 multi-city community cycling challenge with the mission to end cancer. 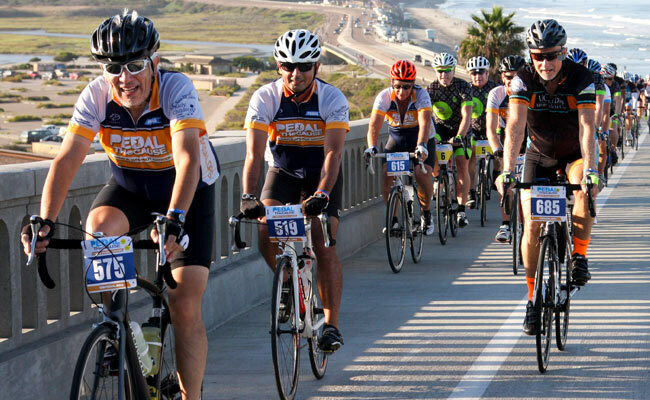 In 2013, the bike ride came to San Diego to raise money for innovative life-saving cancer research conducted by four local world-class beneficiaries: Moores Cancer Center at UCSD Health, the Salk Institute for Biological Studies, Sanford-Burnham Prebys Medical Discovery Institute, and Rady Children’s Hospital. Last year in San Diego alone, 800+ riders raised $1.3 million that funded 7 innovative and collaborative research projects. 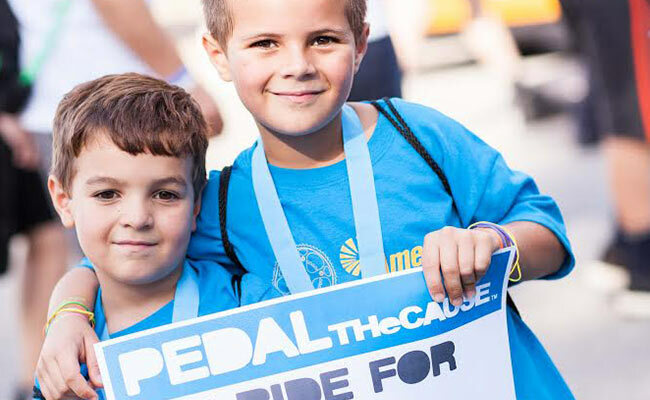 In 2016, the organization formed a new partnership with the San Diego Padres which is reflected in the new name: Padres Pedal the Cause. Many exciting changes accompanied that transition including moving the event to Petco Park where participants ride onto the field and celebrate with their friends and family. Koman along with its partners continue to incorporate environmentally friendly and sustainable buildings from construction through occupancy. 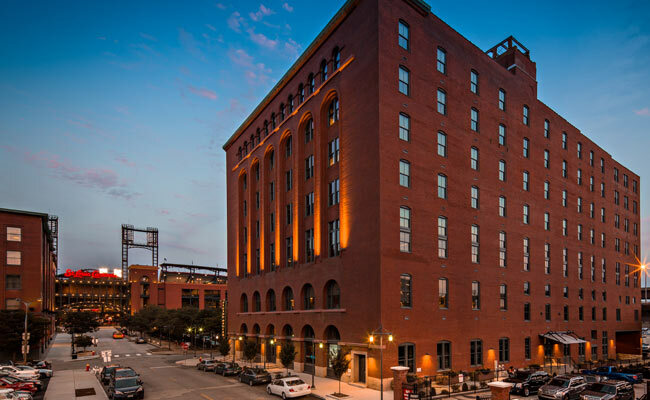 The Centene building located in Clayton, MO and the 700 Market building (headquarters of Laclede Gas), have earned the LEED Gold Certification. The LEED certification process encourages companies to find innovative solutions that are more energy efficient, better for the environment and better for the community. 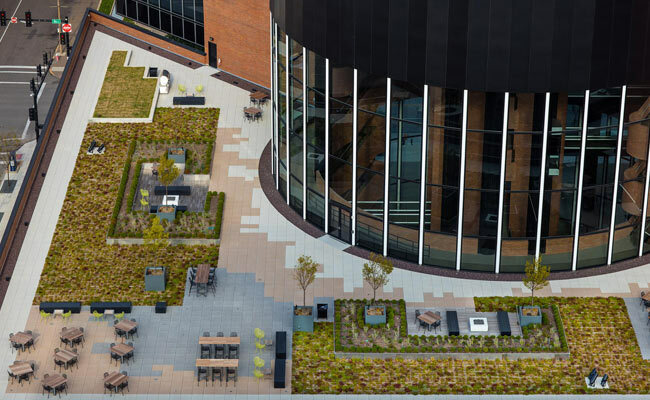 Laclede’s new building has an outdoor green area on the fourth level, energy saving LED lighting, water purification system, extensive recycled building materials among other features that have made this building stand out for its sustainability. Learn more 700 Market’s LEED Gold Certification here. Koman’s objectives are not solely focused on large, build-to-suit developments. We also undertake complex rehabilitation projects that become in-demand destinations for tenants. Koman redeveloped the vacant 119-year-old Cupples warehouse, turning a demolition-bound foreclosure into a vibrant and fresh environment that attracted numerous up-and-coming technology and creative companies. Such rescued properties not only stimulate revenue streams and leverage tax benefits; they also create spaces that embody historic significance.